Where have the all Blue Jays songs gone? 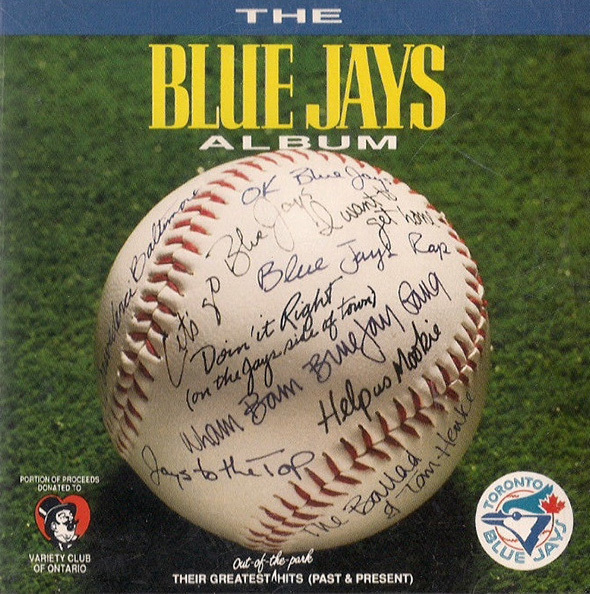 For much of their formative era, campy odes and anthemic ballads about the Toronto Blue Jays and their star players were aurally ubiquitous in the city: major airplay on the radio, music videos on TV, and even a series of pop albums lovingly released on fresh LP, CD and cassette guaranteed these feel good boppers a special place in Hogtown's heart. When the boys in blue were flying high (as they are now-ish), these songs helped ossify the bond between fan and brand, big time. Who were you in 1986 if you weren't power moving to a worn out cassingle of "Shaker's Rap - It's Lloyd Moseby Time!" Not surprisingly, themology was in the Blue Jays DNA from the very beginning: are you old enough to recall the boogie nights flaring to a special disco, Blue Jay bird sampling theme song when the franchise first launched in 1977? 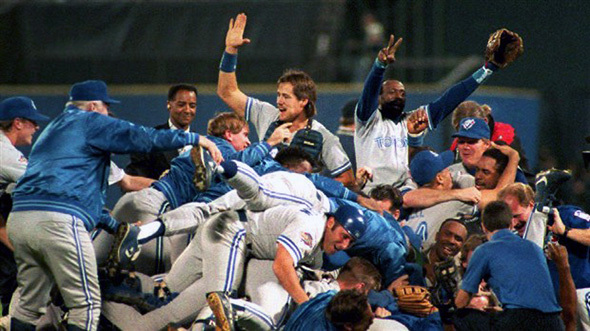 In the early 1990s, a joint deal between the Toronto Blue Jays, the Variety Club of Ontario, and Sony Music Canada ushered in a trilogy of Blue Jays albums (Out of the Park (1991), Class of '92 (1992), and Salute to the Champions (1993), mercifully reaching a crescendo as the team went supernova after winning the World Series in 1992. Aside from dusty 45 rpms languishing on eBay, or ripped mp3 files hosted on fringe Blue Jays fan blogs as curate's eggs from a checkered past, most of these songs have long ago dissipated from the public conscience. Of course, the mightiest of them all - "OK Blue Jays (Let's Play Ball)" by the Bat Boys was the subject of much contention a few years ago when it was unceremoniously scrubbed from its primetime real estate - the soundtrack of the 7th inning stretch. For old school fans, the idea of going to a Jays game and not hearing that incendiary 1983 song seems just as alien as not seeing BJ Birdie, natch. 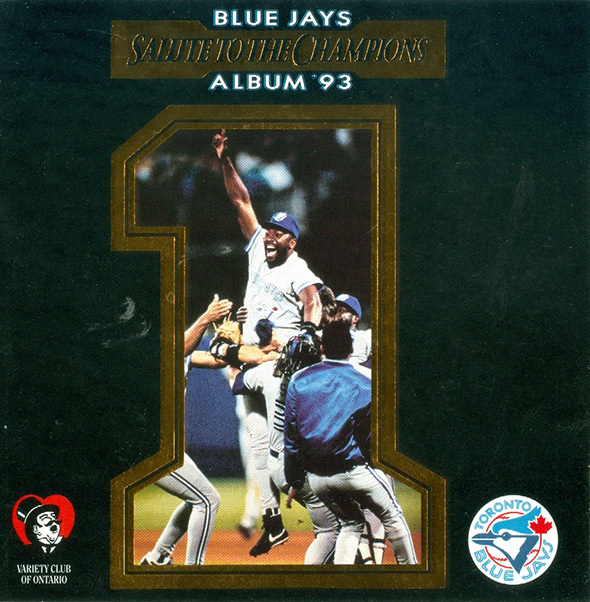 Will the Jays ever help produce another LP of spoof songs and pump up anthems, or are these jangly jiggles a relic of the less cynical and frankly more bonkers decades that also brought us the arrival of SkyDome, two back-to-back World Series wins, "Catch the Taste!" and more band wagon fans than the Maple Leafs could dream of? "Help Us Mookie," make the Jays number one!